Formed from an explorative series of photographs inspired by complex mathematical grids symbolic of the rational, the mathematical and the Cartesian, but in this context grids subverted by the human form. A metaphor for strictures seen and unseen, and the exercise of control in our creative, personal and political lives. 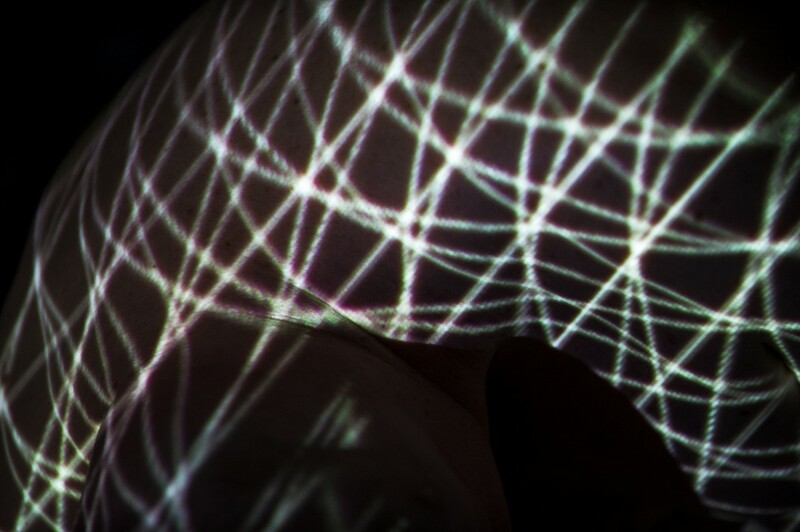 This is literalised in the projection of pixels onto the body – a projection mirrored in the camera’s gaze. 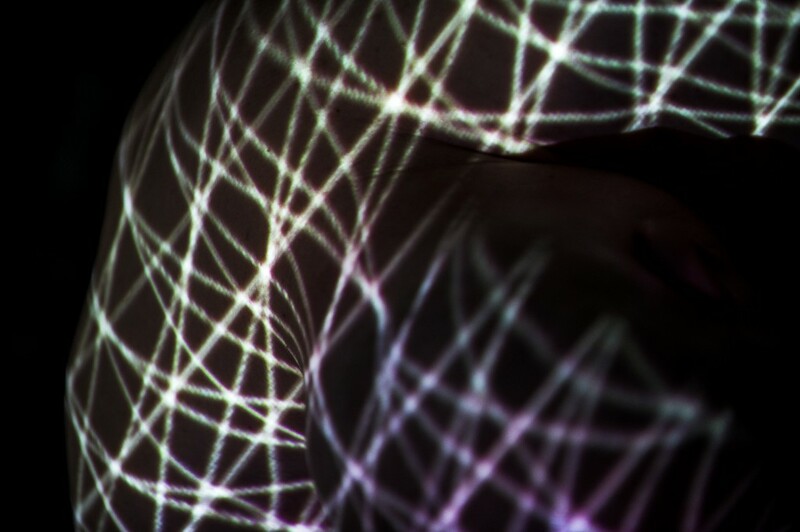 The body distorts the grid… humanises it. 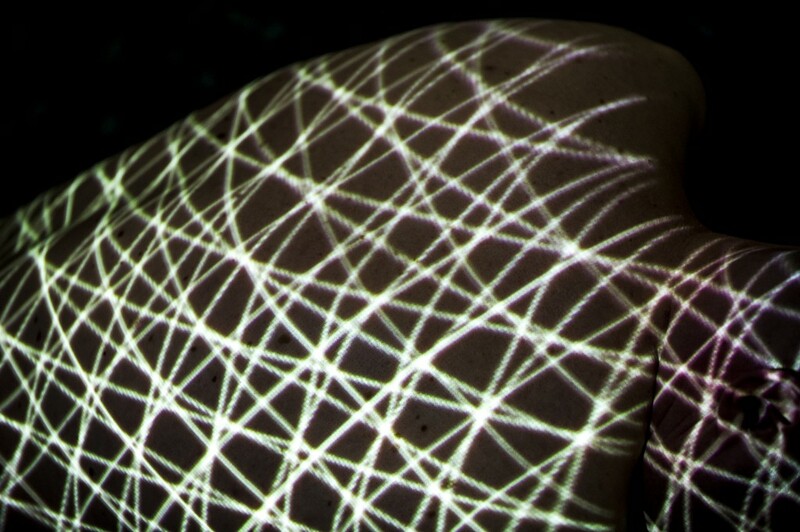 In the shadows of its crevices the grid dissolves and a space is found – a space to breath. With every breath we are brought back to the body – to touch and to feeling. Exhibited at ‘Parallax’, at The Mile End Art Pavilion, London, June 2013.